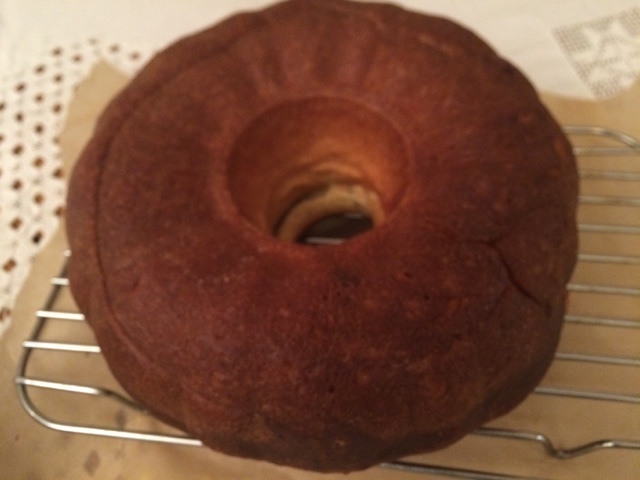 There's nothing more satisfying than bread in a bundt. Unless it's a babka. 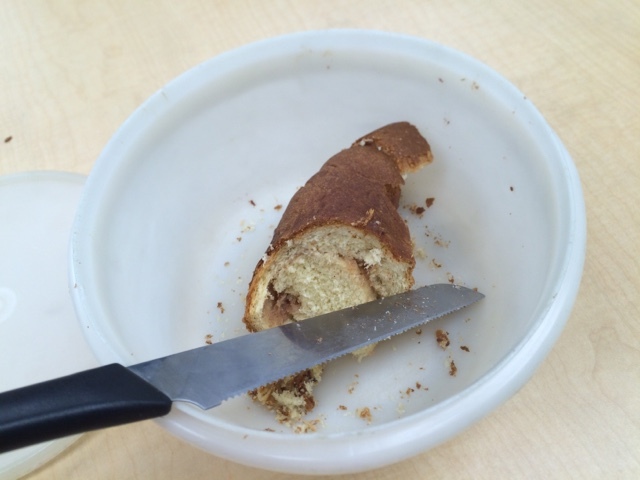 And I dispute whether this is a babka. 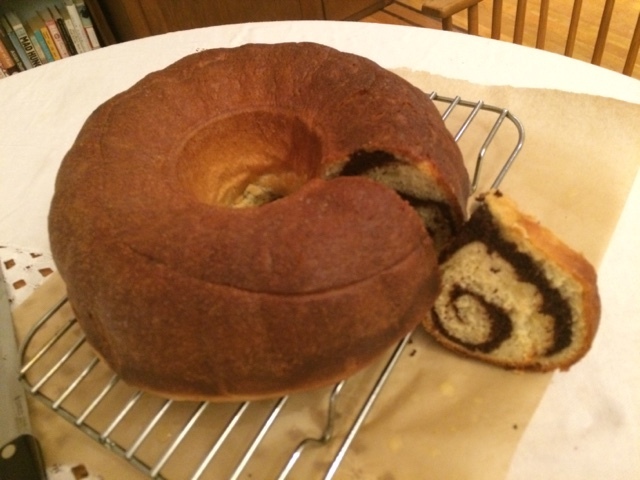 It's a great filled brioche, but Rose's babka recipe is not exactly my idea of the real thing. I'm loyal to the richer and sweeter charms of the Zabars-style stuff, a stickier, more tightly rolled and almost underbaked masterpiece that might not charm Paul Hollywood but tastes like the Jewish best to me. 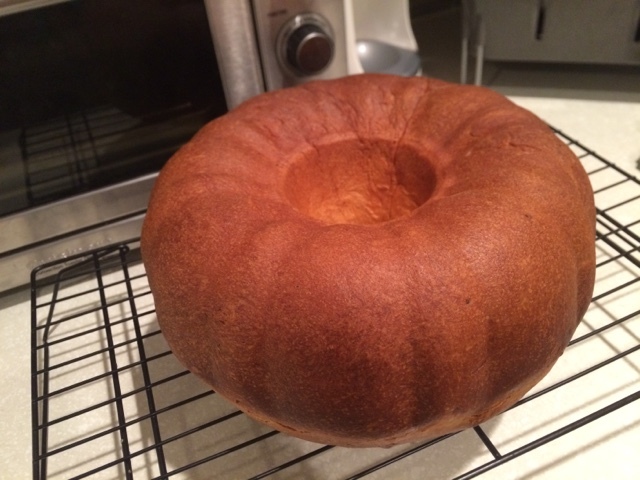 Name disputes aside, this is a simple enriched dough rolled around a filling (I made it at Thanksgiving with a chocolate almond, and last week with an almond-only (sorry George Costanza)), and baked in a bundt pan. 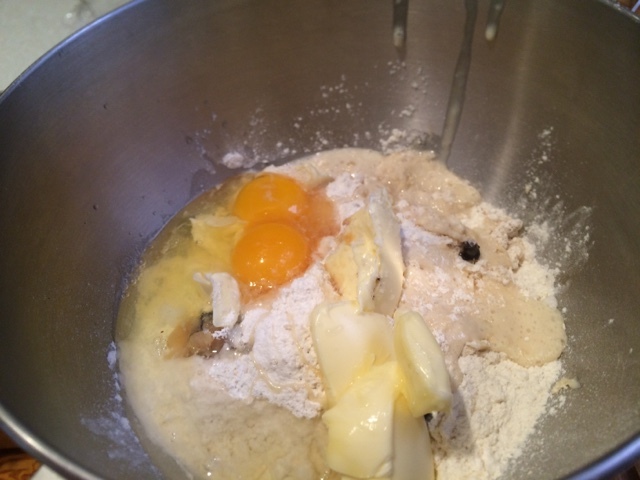 The dough is an easy process of starter ferment, rise, chill, and fill. In a warm kitchen on a March sick day, it came together with no trouble, and the almond filling, which contains almond paste, was delicious. My co-workers did not question the name, they just ate it. Fast. My party guests the weekend after Thanksgiving didn't eat quite as voraciously, partly because there was a lot of other food, and so I tried making bread pudding out of the leftovers. I don't recommend that plan, as the soft bread was too weak to stand up to the custard mixture and didn't provide a satisfying finish. Now I want to make a babka. 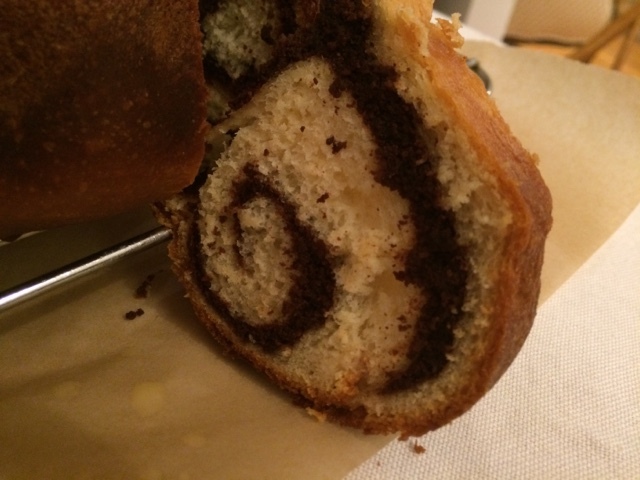 Seriously, who can hear the name "babka" and not think of that hilarious Seinfeld episode?! I wouldn't know a real babka from a not real one but I think your babka looks gorgeous. Great spiral design. Looks so pretty like a pumpkin! and you have a perfect swirl too!